The Constitutional Review Committee adopted a recommendation to parliament that section 25 of the Constitution needs to be amended â€œto make explicit what is implicitâ€. The indication is that the amendment will not be a drastic amendment, and expropriation without compensation will not be a â€œblanketâ€ expropriation, but will focus on specific types of properties (abandoned buildings, un-utilised land, commercial property held unproductively and purelyÂ for speculative purposes, land farmed by labour tenants with an absentee titleholder, and land held by SOEs). Parliament must legislate on this, as this will ensure certainty, writes ELMIEN DU PLESSIS. 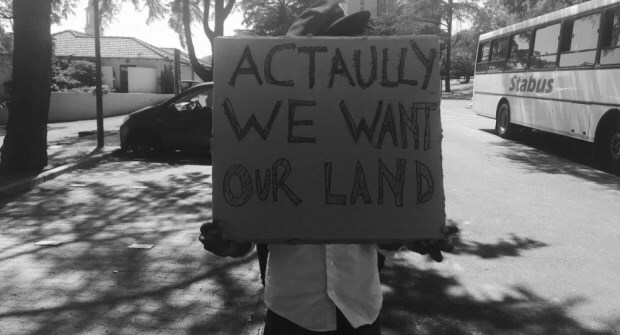 There is also not a plan to nationalise the land after the acquisition, but rather to transfer it to beneficiaries. On this critical question of who will benefit, and what type of support will be given, we need urgent policy and legislation. Any amendment to the Constitution needs to take place in terms of section 74 of the Constitution. The department of justice (supposedly) needs to introduce a bill to amend the Bill of Rights. With the support of two-thirds of its members, the National Assembly needs to pass this bill. The National Council of Provinces also needs to pass the bill, with the support of six of the nine provinces. Currently, the ANC, EFF, UDM and NFP have enough votes to do that. It is not clear if they will have enough after the 2019 elections. There are various procedural requirements for passing a bill, of which the public participation requirement is perhaps the most important in this instance. If a bill is introduced to parliament, there will be another round of written comments on the amendment. The Constitutional Review Committeeâ€™s provincial hearings, as well as the submissions made to the committee in parliament, will not suffice for this purpose. The question before the Committee, namely whether the Constitution should be amended or not, differs from the issue that will be on the table with an amendment bill (that will provide for an amendment with specific wording). The Constitutional Court has been clear that the greater the public interest in legislation, the more onerous the obligation to ensure public involvement. Once an amendment is passed in terms of section 74, it cannot be challenged on the basis of unconstitutionality. The provision then becomes part of the Constitution itself, and the Constitution will then be read as a whole, with provisions read in harmony with one another. Such an amendment is unlikely to happen before the 2019 elections. 30 days before a Bill amending the Constitution is introduced, it must be published in the Government Gazetter for public and other comments, whereafter the written comments received must be presented in parliament. Parliament must therefore now come up with specific wording, write the legislation and go through that whole process. Parliament rises on the first week in December, so that process will not be done this year. Next year there will be a short-term before the elections. In my estimation the likelihood of introducing a bill before March 2019 is slim. And if it does, a bill usually takes six to nine months to be promulgated. This would take us to early 2020. Outside the eye of the media and the cameras, most conversations are productive and optimistic, with a lot of people investing time and (often emotional) energy into finding workable solutions. This is going to be a long process, so it is better to buckle up: land reform must happen, it must happen within the rule of law, and it must happen at a faster pace and with more success than the past 24 years. We just need to find agreement on the â€œhowâ€. Elmien du Plessis is an associate professor in law at the North-West University. She teaches land reform, indigenous law, property law and interpretation of statutes. The day she stops believing that the law can be utilised to bring about social change, is the day that she will stop teaching it.